she struggles to overcome life's obstacles. She never give's up! Through ups and downs, she learns that there is someone who really loves her. One day, while in the depths of sorrow, her life begins to be transformed by a powerful presence. Her journey begins as she discovers a wonderful relationship with a man that knew everything about her. This little girl grew up and became a Singer/Songwriter whose lyrics tell the story of a Loving Savior! The essence of her story is captured in the song 'Now Sings My Soul' (Change Is Coming album). 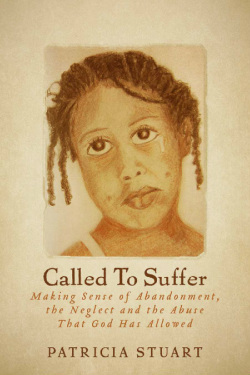 "Called To Suffer: Making Sense of Abandonment, the Neglect and the Abuse That God Has Allowed by Patricia Stuart is a true account of how Patricia Stuart has been able to use every aspect of what God has placed in her life, from abandonment and neglect to abuse, to become the success story that she is today. Throughout Patricia’s life, she has gone through so much - from being abandoned by her parents, and experiencing neglect by her parents once she began to develop a relationship with them, to becoming a victim of abuse at the hands of her stepfather. Being introduced to God by her West Indian grandparents provided her with the tools needed to sustain her during these trials. Earlier in her walk with God, Patricia would wonder where God was. Eventually, Patricia found out that God was always with her and had allowed all of these trials to help strengthen her. “Just know that whatever situation you find yourself in, God has orchestrated it for your good! Don’t focus on what you didn’t have or what you didn’t get. God gives us all of the resources we need to endure,” says Patricia. If you have had a dysfunctional childhood, Patricia shows you that everything can work together for your good, even the bad choices that are made. Each decision and choice that I’ve made have played into the plan of God. Called To Suffer: Making Sense of Abandonment, the Neglect and the Abuse That God Has Allowed by Patricia Stuart clearly points out that just because you have a relationship with God does not mean that all of your troubles will go away or you will be free from them. “Don’t feel sorry for yourself. You have all of the ingredients for greatness because of God,” says Patricia. She is living proof that even during your times of suffering, God is there to guide you through. If you feel that you can’t make it in your current condition, reading Called To Suffer: Making Sense of Abandonment, the Neglect and the Abuse That God Has Allowed by Patricia Stuart will provide you with the tools that you need to take another step towards healing. "Called To Suffer: Making Sense of Abandonment, the Neglect and the Abuse That God has Allowed" by Patricia Stuart, is a well written account of her young life. The book tells of the psychological, trials and tribulations experienced by the author. However, through her deep pain she was ultimately led to understand her purpose in this life. Her renewed faith in her Lord and Savior Jesus Christ gave her the assurance that she is someone precious in His sight." "Congratulations Pat on writing this book. Thanks for sharing such an emotional experience, one I believe, will assist other individuals experiencing similar challenges. We know, with God all things are possible. We must however...Believe!" "Excellent Story!!!!! Very inspirational read about persevering through struggles and trials throughout life. This is a must read! Hope there is more to follow!" ​"This book is so encouraging; to know all you went through. God gets the glory. I could say so much. I believe everyone should read this book. Thanks for reminding me that God does know the plan that He has for me. I thank God that you are following the steps He has for you and I pray that you continue to share." "Just read this book "Called to Suffer" by Patricia Stuart. It was awesome! Must read! Must read! WOW! All I can say is WOW!" "I recommend this book to young and old. I just finished reading this book on Kindle, wow! Now my eldest daughter is reading it. It is full of grace as it tells a story of pain but without residual resentment and bitterness. I remember the author's grandfather very well, a dignified Christian gentleman. I have even shared an anecdote about him with my family several times. There was a decision to be made at church and those involved were dithering and wanted to wait...suddenly this voice with each syllable perfectly enunciated said "the saints have been waiting since Pentecost". It was her grandfather. I also remember and verify many of the situations in the book (as an observer, an observer who was too preoccupied with his own issues). Memories of life in Harlem come alive in this book...I lived in Spanish Harlem during this time and did a lot of walking around. I appreciate the clear Christian messages in this book." "This book was such a joy to read. I could not put it down and I really wanted more....lol. To see how you made it through all your struggles it puts my life in a new perspective when I face struggles in my life, knowing that God is still in control. It's just for me to trust him completely. I know this was hard for you writing this, but then I sensed that writing this book gave you peace of mind. Thanks again for sharing your life with us. I know the Lord is pleased and will continue to bless you." "I have not finished reading Called To Suffer, but had to express what a wonderful book it is. My heart goes out to the author to be able to survive such a difficult past and being able to go beyond the past and have a positive and loving attitude. It shows what can happen when you have faith. My granddaughter only read a few pages of my book and she really liked it. And she is not one to be easily impressed. I have ordered a copy for a friend of mine who has gone through a similar past and is still having a difficult time accepting it. I do believe when she reads the book she will be able to move forward. Thanks to the author for doing such a GREAT job sharing her story. Her story lets others know they are not alone." "I could not put this book down! This is truly a great testimony!" "This autobiography is authentic, readable, and inspiring. It is honest, sensitive and compassionate. I loved reading about the early years with her grandparents. Nicely drawn. Made me feel like I was there with her. I would, however, have liked as many details of specific experiences towards the end as in the beginning - e.g. more specifics re family, living environment today, and even more specific answers to prayer. Nonetheless, this account of a difficult coming of age due to past experience of neglect and abuse is a great testimony to God's transforming love and grace in Christ. It could not have been easy to dredge up the most unpleasant memories. I truly praise God for the presence of the Holy Spirit both in the writing and the reading of this book." "What an inspiring story! The author uses her life trials and triumphs to encourage others to embrace the uniqueness of their own life experience, to rise above bitterness and past hurts and to live a life of victory through Christ. Definitely recommended reading." "In Called To Suffer, Patricia Stuart reflects on her painful past from an inspiring perspective. Her book urges readers to reflect on God's sovereign use of suffering. Thanks for being willing to be used of God and do the necessary work to write this book." "I think you triumphed victoriously over the suffering in a way that only a true BELIEVER could." ﻿“Called to Suffer” is a book that reveals the pain and anguish that its author experienced without sensationalizing it and through grace covering offenders and then chronicling the journey with God working in her life in order that in it all as Joseph said it is clear “God meant it for good”. I have known the author since she was a little girl, even though I am a bit older and can attest to the authenticity of what she shares with her readers. Further, I can give testimony of how God in his mighty power and grace has brought her through this far and will continue to do so. I recommend this book for all to read. It wonderfully brings a Christian and biblical perspective to the struggle of feeling and being neglected and abandoned by those who a child needs the most and seeing how God used others and circumstances to achieve healing and preparation for His service in the future." "As I read this book, I couldn't help but ask, "Who will cry for the little girl"? God always amazes me! He can allow some of the most devastating situations for innocent children. Only He knows what the end will be. This book gave me a better look into God and the things He uses to bring a person face to face with Him! Good for you, Patricia Stuart! Good for you!" "Thank you for your honesty. Thank you for your testimony! Thank you for being vulnerable!! The church is failing at this and we need people, in all of their imperfections, who are not ashamed, to step up and share what God has done for them." "Raised without a mother's love and abused at the hands of one who should have been a protector, a child is forced to question God. She asks why she should believe in the God of her grandparents when He has allowed so much pain and suffering in her young life. In a straightforward narrative, Pat Stuart tells the story of her journey of suffering and how she managed to emerge a conqueror. She wields the pain of her life into a powerful "sermon" about the love, power and purposes of God. This book speaks directly to the reader's heart. If you have never known the God of whom Pat Stuart speaks, you want to know Him by the book's conclusion."